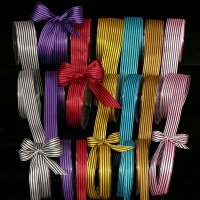 This striped satin ribbon, will add inspiration to all your creations! You just cannot fail to attract attention with this magnificent imported ribbon. 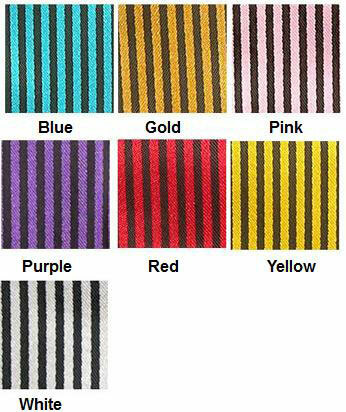 We carry a large selection of Striped Ribbon that will make a great addition to any project or event! An extensive color selection is available to meet the needs of the craft, design and custom packaging markets. ....Please select Blue Gold Pink Purple Red Yellow White .